Youth ministry is alive and well at Madison Square! 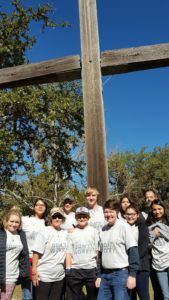 Our youth participate in a balanced program of Christian education, youth camps and conferences, fellowship and service opportunities. Come join us! Youth (Middle and High School) meet in the Youth Lounge for Bible study and discussion. 3rd Floor Education Building. Confirmation is offered for Middle and High School Youth. This is important time of learning about our traditions as Reformed Christians, asking our own faith questions and considering an adult faith commitment. Middle and High School youth are asked to remain in worship for the full hour. Worship is a multisensory, multiple intelligence environment that definitely improves with practice! Youth regularly assist in worship as ushers, greeters and liturgists. Youth are invited to assist with Children’s Church on a rotating basis. VBS – Youth helpers at VBS are very important!